Not all door thresholds and transitions require slabs of the same size or height. When you’re working on a new building or renovation project, there may be several scenarios where a custom cut would be the perfect solution. Stonexchange offers custom manufacturing services for all styles of natural stone and marble thresholds. 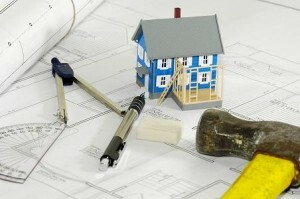 Consider the benefits of using our custom service rather than trying to cut the pieces yourself on location. We don’t do any custom services at our domestic warehouse in Miami. However, we’re happy to have your special orders filled through our overseas factories. The same skilled craftsmen who manufacture and polish our standard stock slabs will handle your custom order. Everything is cut to your specifications, and the stones will be shipped to our location or forwarded to your jobsite. The entire process does take a few weeks, but you’ll benefit from our meticulous service and wholesale pricing. You’ll also appreciate our high-quality products and our attention to detail. As a contractor, you wear many hats. In addition to cutting stones to fit on location, you’re also responsible for putting them in place securely, leveling them and grouting the seams. On the other hand, our professionals do nothing but manufacture and polish natural stones. They’ve turned this basic service into a work of art. If you need a hundred thresholds cut to the exact same size for a hotel project, you can count on our professionals for high-quality, consistent work. We’ll take the time to carefully match the stones, meticulously cut the thresholds to your desired size and thoroughly polish the edges for safety. It would be extremely difficult for you to reach this level of perfection on the jobsite, but you can count on us to deliver it to you at a competitive price. Consider the amount of labor it takes to cut tiles on the job. While you’ll always have a few cuts to finish the edges of a project, it’s always better to custom order pieces when you know that you’ll need a large amount of specially cut thresholds. Not only does it take a great deal of labor to cut thresholds down while on location, but you’ll also have more wear and tear on your tools. You’ll go through more blades, and you’ll reduce the overall efficiency of your jobsite. Custom orders may carry a slightly higher expense, but this is small compared to the cost of labor and extra supplies needed for cutting dozens or hundreds of thresholds. Not only will custom ordering from Stonexchange be more cost-effective in the long run, but it’s also far more convenient. When you’re covering a long transition or a large threshold, you can fill the space by using smaller pieces and then filling the seams with grout. However, it doesn’t look nearly as nice as a solid piece of marble does. When you’re creating a transition piece that will join two larger rooms, you really want to minimize any seams by using custom order thresholds. In addition to choosing longer thresholds, you can also make them wider to accommodate exterior or interior doors and allow for other customized plans. We cut thresholds to your exact specifications to make your job easier and provide you with a cleaner finished look. Our thresholds are usually a standard height of 5/8-inch, but that may not work for your jobsite. You may want slabs that feature a slightly higher or even lower profile. We’re happy to accommodate these types of orders. This allows you to install thresholds that are ideally suited to your project. We also offer Hollywood beveled thresholds featuring slightly angled edges. We can angle one or both sides depending on your needs. These are the ideal choice when you’re merging floors of different heights or if you want to raise the profile to hold water back in a shower or at an exterior door. Our friendly and helpful staff will help you place your order. The stones can be delivered to our warehouse, and we can hold them for a short time until you can pick them up. However, you may prefer to have them delivered directly to your job site. All marble thresholds are carefully packaged to avoid damage. They’re shipped in crates to take up the minimum amount of space while protecting the marble. Once on your job site, you can have them stored off to the side until you’re ready to start using the thresholds. This is far more convenient than making multiple trips to the store and trying to do the custom cuts yourself. We understand that you’re trying to keep costs down where you can and we want to help. We believe in providing our customers with premium marble thresholds at low prices. We own our own manufacturing and distribution centers, so we’re able to avoid the markups that you’ll find at the local home improvement store. We bring you wholesale pricing along with high-quality products and excellent service. There is a minimum purchase amount required with special orders, but we also have a range of stock sizes in our Miami warehouse that may meet your needs. 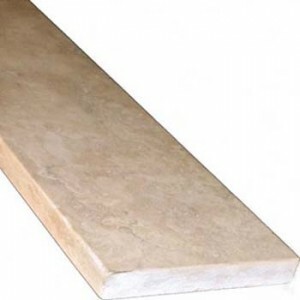 In addition to offering custom marble thresholds, Stonexchange is also happy to provide you with custom windowsills, tiles and other natural stones tiles. Our focus is your complete satisfaction, and we’ll do everything we can to provide you with the natural stone and beautiful marble building materials that you need. We take pride in our high-quality products, and we work hard to keep our prices low. We’re happy to deliver individual pieces out of our Miami warehouse, and we also offer custom manufacturing services for larger orders. Our beautiful selection of natural stone thresholds includes travertine, traditional Nuevo White Carrara, elegant Crema Sahara Marfil, Pure White Thazoz, and sleek black granite. We offer immediate shipment of in-stock pieces, and we’ll work hard to deliver your custom order in a timely manner. We’re looking forward to helping you, so contact us today to learn more about our custom services and our quality products.